Acupressure is well known term, but how many of you have heard about acupressure sandals? Yes, the acupressure sandal is a wonder product, declare the people who have used it. Read on to know more interesting facts about this wonder product. Acupressure as we all know has been practiced all over the world since ages. It is an age-old technique practiced by Chinese. As per Chinese, the right flow of life force is the reason behind a person’s health. As per the Chinese, the life force travels through our body and in our body there are several pressure points. The pressure is applied on these points with hands generally or magnets, rollers, herb, electrical stimulus as well as laser. 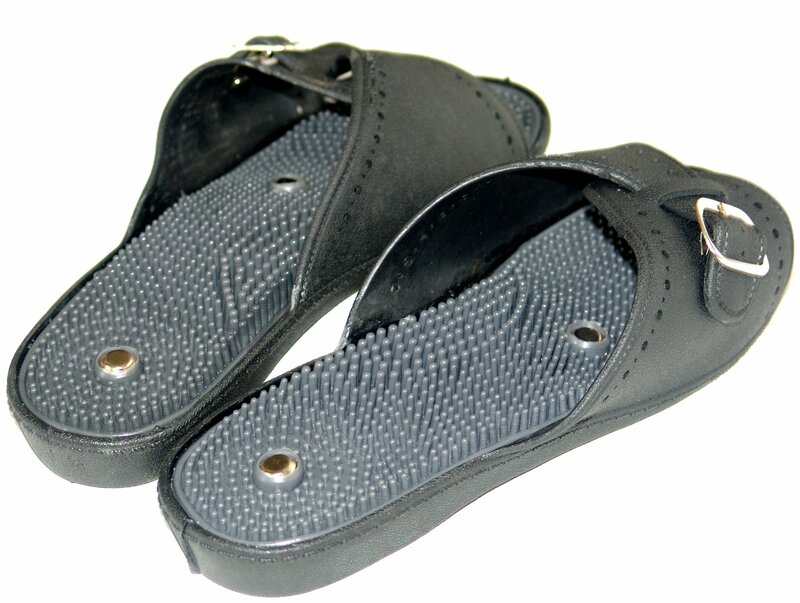 Acupressure sandals are specially designed to stimulate the soles of the feet where several nerve endings are located. There are different kinds of acupressure sandals to suit different requirements too. • There are also shoes that come with hollow spaces in the sole, and this one is to increase the air circulation underneath the feet. • There is another type of acupressure shoes wherein the soles have magnets giving acupressure. • Next variety is with the thermally controlled plates, which is excellent to keep the feet warm. It relieves the user from the stress and pain related to the foot. The acupressure sandals can be worn for a few minutes or as much amount of time possible for best results. It is available in all sizes and shapes and the best part is that anyone can use it. If you are someone who loves to get your regular foot massages, then this acupressure sandals are for you, grab one as soon as possible and I bet you will not be removing it off your feet. 1. Using these acupressure sandals relaxes and energizes you. 2. Acupressure sandals are very good to improve blood circulation. 3. Acupressure sandals improve sleep. 7. Keeps unwanted sickness at bay. 8. Acupressure sandals are great way to relax. 9. 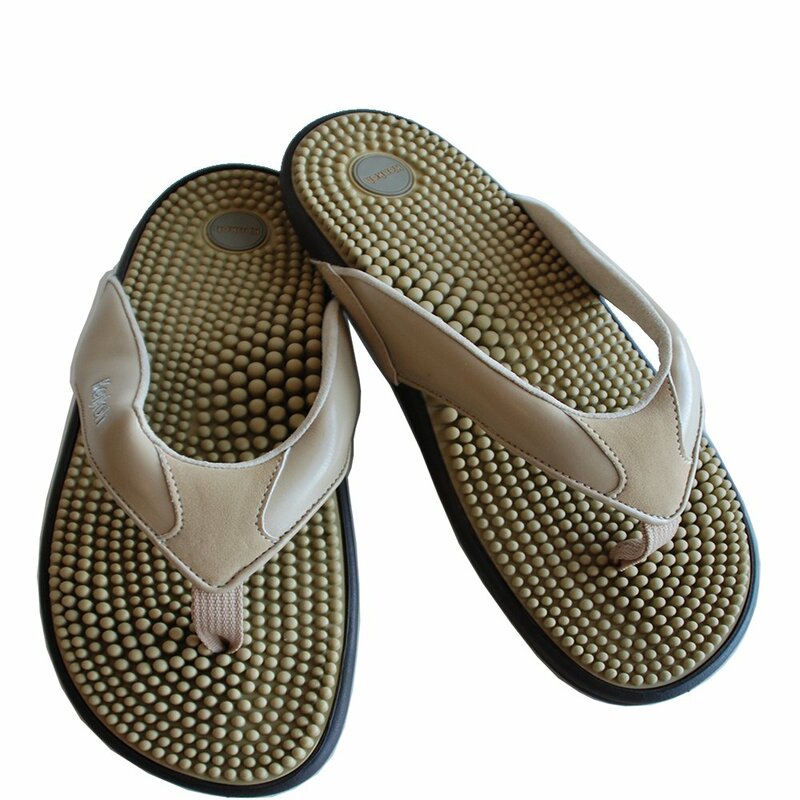 These sandals are also good to relieve the arthritic pain which is generally on the ankles and knees. In China, people use this kind of self massaging techniques like foot massages as their daily routine, in a way they control the ailments of their life themselves. We can also get inspired from them and make the best out of it. The acupressure sandals are a blessing in disguise for people especially in old age who often complain of pain. The acupressure sandals as it is can be worn by anyone but pregnant women should avoid wearing it. The acupressure is not meant to be worn all day long although some brands claim otherwise. To acquire best benefits of using this acupressure sandal one has to wear it while standing still. In this position it gives maximum effect. It is important to understand that this concept of acupressure is a concept that was discovered long back and acupressure sandal is a recent discovery. There are no proper scientific theories or proof that supports the benefits of this technique. Therefore acupressure sandal should NOT be used as an alternative for any medical treatment. Beginners are recommended to use socks before using the acupressure sandals as initially it might be difficult to deal with the sensations that the sandals give.